As seen on The View with Barbara Walters, Viviscal hair loss products were highly touted as an effective hair growth and hair retention solution, showing before and after photos of a person who experienced hair growth after using Viviscal hair products. Recently highlighted in Prevention Magazine, a physician in the article discussed the results of the study where Viviscal Hair Growth products slowed the rate of hair loss and increased hair growth. 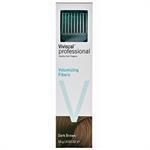 DrSkinSpa.com is an Authorized Retailer of Viviscal. All Products are Guaranteed Authentic & Fresh. 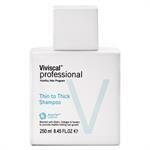 Viviscal hair products promote new, healthy hair for both women and men. Because the aging process can cause hair to thin and become dry and brittle, Viviscal vitamins and supplements incorporate anti-aging properties into the Viviscal hair products. These nutrients nourish a healthy scalp which encourages growth. Viviscal offers the opportunity to have thicker, more luxurious hair without synthetic implants, surgery or drugs. Viviscal Hair GrowthSupplements are scientifically proven to nourish thinning hair and promote healthy hair growth from within the body. Recognizing the need to encourage internal hair growth while enhancing existing hair, Viviscal Hair Growth Supplements offer superior marine-based ingredients to promote thicker, healthier hair from the inside out. Only Viviscal Hair Growth Supplements contain the exclusive marine complex AminoMar. These marine extracts developed in Scandinavia are derived from isolated, key proteins from marine plants to produce clinically proven results for maintaining and growing new hair. AminoMar is exclusive to and only available from Viviscal vitamins and supplements. 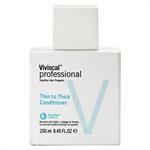 Other natural ingredients in Viviscal Hair Growth products include vitamin C, Niacin, Iron, Zinc, and millet seed. As seen on The View with Barbara Walters, Viviscal hair loss products were highly touted as an effective hair growth and hair retention solution showing before and after photos of a person who experienced hair growth after using Viviscal hair products. Recently highlighted in Prevention Magazine, a physician in the article discussed the results of the study where Viviscal Hair Growth products slowed the rate of hair loss and increased hair growth. Remarking upon its effectiveness, Viviscal Hair Growth products were also recommended by a New York dermatologist in the May 2012 issue of Allure Magazine. 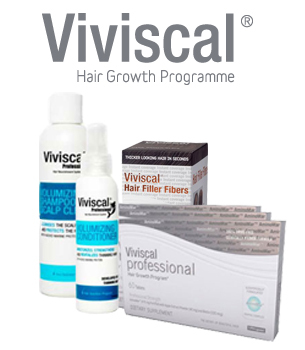 Viviscal Hair Growth products offer customers the scientific reasons for hair loss. By studying the phases of hair growth, Viviscal hair researchers discovered which phase offered optimal growth and when scalp health is realized. Viviscal shampoo and Viviscal conditioner nourish the scalp while exfoliating dead skin cells to prepare it for new growth and keep hair strong and healthy. I am very happy with this seller and will look for them for future purchases. My lip butter arrived earlier than I expected and I was very happy for that. My item was in perfect condition and I couldn't wait to try it. I would recommend this seller to family and friends.